Ziplining is one of those scarce activities that’s both healthy and fun. Most things in life are either healthy or fun. Food is a great example of this. The foods that taste the best, like sugary soda and fatty hamburgers, often aren’t great for our health. And, foods that are very nutritious, like kale and broccoli, are often the foods that people most frequently make faces at or refuse to eat. But, what if we told you that there was a way to improve your health while also having fun? With ziplining at TreeRunner Raleigh, you’ll finally enjoy the best of both worlds, because surprisingly enough, ziplining is actually great for your health. 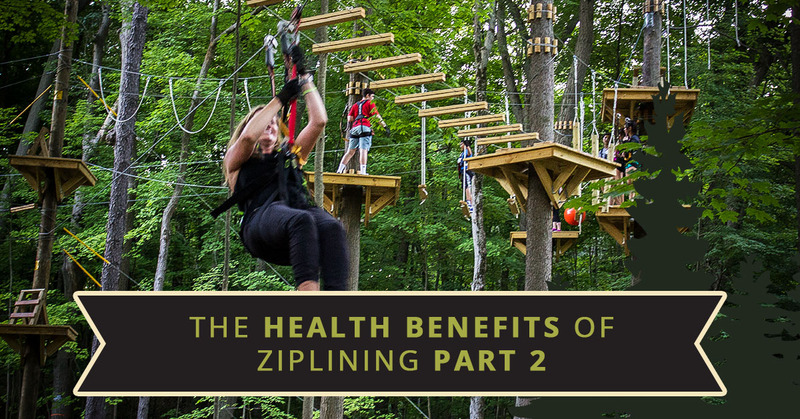 In part one of this series, we touched on a few of the health benefits of ziplining. Keep reading to learn more! If you live in the city, then it’s time to take a break from the smog and enjoy the fresh air. 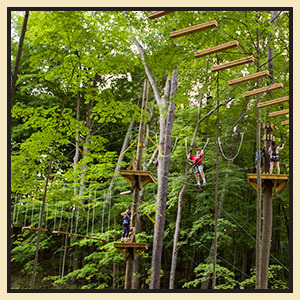 When you come to our aerial adventure park, which is full of oxygen-producing trees and located in the great outdoors, you’ll be able to fill your lungs with fresh, clean air. Breathing in fresh air helps to cleanse nasty toxins from the respiratory system. This will allow your body to work more efficiently, and it will help to prevent you from getting sick. Thanks, in large part, to our high-stress jobs and poor eating habits, 75 million Americans are living with high blood pressure. That’s one in three adults living in the United States with an increased risk of strokes and heart attacks. But, there’s good news — there are lots of great ways to lower your blood pressure and, believe it or not, ziplining is one of them. There are many things about ziplining that lowers blood pressure, including the adrenaline boost it gives, its ability to reduce stress and the simple act of being out in nature. In this day and age, many of us spend a lot of our time looking at screens. Whether those screens are on our phones, computers, televisions or anything else, all of that time spent staring at blue-lit screens can lead to eye strain. Give yourself a much-needed break from the screen by getting outside on a zipline. While ziplining, your eyes will focus on many different objects that are a long distance away. This exercise helps to improve your ability to focus. Although most things that are healthy aren’t all that pleasant, ziplining is one of those rare things that’s both incredibly fun and great for your health. Whether you’re looking for a creative date idea, an awesome family outing, a new kind of field trip for your class or just something to do this weekend, there’s no better option than booking your treetop adventure with TreeRunner Raleigh. With more than 70 zipline and aerial obstacles, seven different courses and three different difficulty levels, we have something for everyone. Contact us today to book your zipline adventure!